I am less interested in Truth with a capital T and more interested in truths, plural. That quote actually comes from Kevin Kelly (b. 1952), who was founding executive editor of Wired magazine, and an editor/publisher of the Whole Earth Review. It is taken from his contribution to How is the Internet Changing the Way You Think? 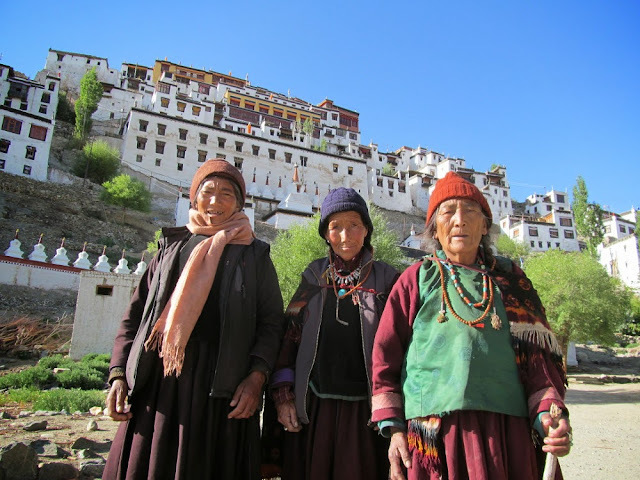 I took the photo of Ladakhi women at the Thiksey Tibetan Buddhist Monastery in Ladakh during my trip to the Dalai Lama's Kalachakra teachings this summer; one of many highlights of a year during which I uncovered plural truths. Photo is (c) On An Overgrown Path 2014. Any other copyrighted material is included as "fair use" for the purpose of critical analysis only, and will be removed at the request of copyright owner(s). Also on Facebook and Twitter.